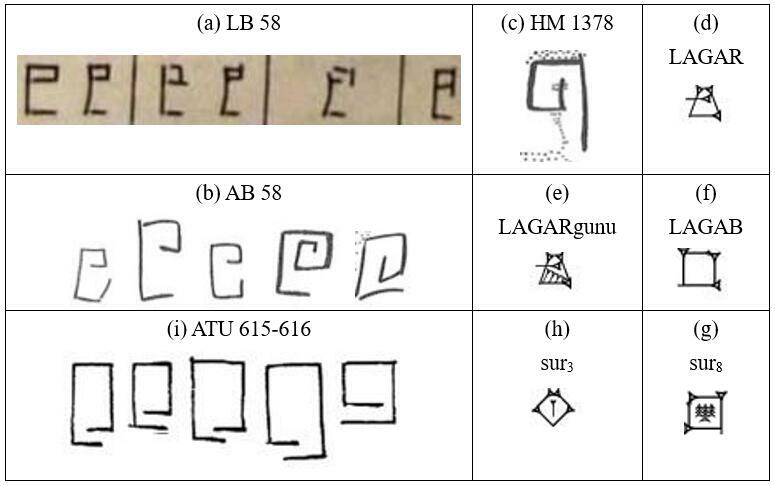 This paper presents seven “syllabograms” of the Cretan Protolinear script (signs used for Consonant-Vowel [CV] syllables). This presentation is conducted following the theory of the Cretan Protolinear (CP) script as the one that all the Aegean scripts evolved from, including Linear A, Cretan Hieroglyphics and Linear B. The seven syllabograms of this particular set depict inanimate objects or constructions that were very common or important in everyday life, economy and religion. It is also demonstrated that the phonetic value of each syllabogram corresponds to the Sumerian name of the object depicted by the syllabogram, in a conservative dialect. Thus, more light is shed on the linguistic ancestry of the Aegean scripts, the practice followed for their creation, and, indirectly, on some cultural aspects of the Minoan Civilization.